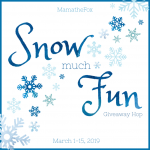 Romance is in the Air Giveaway Hop – Escape Reality, Read Fiction! Tomorrow is Valentine’s Day, so a lot of people are probably thinking about romance. 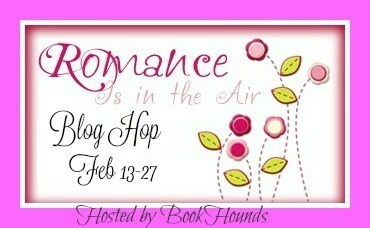 And that’s only fair, as this is a blog hop to celebrate romance – romance books, that is. Of the romances I’ve read so far this year, the one that I’m recommending everyone read is The Wedding Date by Jasmine Guillory. This rom-com is a winner from beginning to end, whether you usually like rom-coms or not. It’s just a great, fun, romantic story. The romance I’m looking forward to reading right now is Dragon Bound by Thea Harrison. I read a fair amount of fantasy and paranormal romance, and several, many, LOTS of people have recommended Harrison’s Elder Races series, but I’ve never managed to get a round tuit until now. It’s my review for tomorrow. 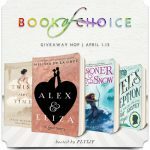 Speaking of adding to your TBR pile, I’m offering the lucky winner of the giveaway their choice of a $10 Gift Card from Amazon or a $10 Book from the Book Depository. The rafflecopter is right down there, waiting for you to enter. And for more romantic and bookish prizes, be sure to visit the other stops on the hop! I am looking forward to Broken Beautiful Hearts by Kami Garcia. Thanks for the chance! The Hating Game by Sally Thorne! I would like to read Still Me by Jojo Moyes. There are a few. I’d have to check my TRL. I’m looking forward to reading another Nicholas Sparks book. Crux Untamed by Tillie Cole. I’m always raving about Eleanor and Park! any new release from Jill Shalvis 🙂 thanks for sharing! Sooo many I wouldn’t know how to choose! I’m not waiting for any romance in particular. But my favorite author D.T. Dyllin is releasing a new book so I will definitely read that one. Restore Me by Mafi. I need more Juliette and Warner! I’ve always enjoyed everything by Judith McNaught and Nora Roberts. https://www.goodreads.com/book/show/17905355-reborn I just got the rest of the series in the mail yesterday and I’m re-reading the first ones over. I am looking forward to enjoying Dreaming in Chocolate. I rave about Edenbrooke by Julianne Donaldson! I love the sweet romance! I am looking forward to reading Sky in the Deep! I’m always raving about In Other Lands, which while not strictly A Romance Book, has an incredibly well-written one, because it takes a while to build up as the characters grow up and learn who they are and what they like. I’m completely in love with that book. I don’t have a specific romance book at the moment that I am raving over. It’s Valentines! So of course I go to THE most romantic book “Gone With The Wind”! An original that can never be beat! 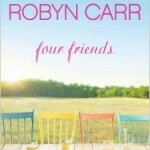 I´m looking forward to Say You’ll Remember Me by Katie McGarry. I read all her books and loved them! I’m reading Love at the Fluff and Fold by Kitty Bucholtz at the moment and it’s giving me a lovely warm feeling. “What romance book are you either raving about or looking forward to?” Last year, I enjoyed “Holy Crap! the World Is Ending!” by Anna-Marie Abell. I’m looking forward to Twisted and Tied by Mary Calmes. One of my favorites is Eleanor and Park. LIE CLOSE TO ME by Cynthia Eden due in March. I’m not really looking forward to any books, right now I’m just trying to put a dent in my TBR. I enjoyed No One But You by Brenda Novak.. Ally Blake has a couple new romances coming out in May and June, so I’m looking forward to those, her writing is always very heavy on witty banter which I love. I am looking forward to The Dark Calling by Kresley Cole. I have always like Wuthering Heights. I’ve been raving about Alex Approximately because I just read it and it was so good! The Law of Tall Girls by Joanne McGregor is brilliant! Lake +Manning by Jessica Hawkins! I recently read Love, Life and the List from Kasie West and loving it. I am looking forward to reading Shadow Song since I really enjoyed Winter Song in this series. Would it be rude to say my own (the one I’m writing)? *chuckles* I’m a bit behind and don’t know what’s coming out Romance-wise. The woman left behind by Linda Howard. I’m looking forward to the next Carrie Stuart Parks book. The last book had some romantic cliffhangers! My current TBR pile runneth over, but at the top are Anna Hackett’s At Star’s End and the Mary Balogh series I need to catch up with. The dark calling by kresley cole! nat recently posted..“Secret Heir” review: a debut author’s take on the enemies to lovers trope! Thank’s for the giveaway. As you know their are so many I love and so many I’m looking forward too. Right now, I just want to get my hands on Burn Bright by Patricia Briggs. I really enjoyed reading The Notebook, so I’m looking forward to another Nicholas Sparks book! Pingback: The Sunday Post AKA What’s on my (Mostly Virtual) Nightstand 2-18-18 – Escape Reality, Read Fiction! I am looking forward to Immortally Yours by Lynsay Sands. I’m not much of a romance reader, but if something looks good I will read it. I love the Hard series and the Guild Hunter series by Nalini Singh. Thanks for the giveaway! I’m looking forward to Ocean Light by Nalini Singh. 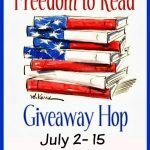 Pingback: The Sunday Post AKA What’s on my (Mostly Virtual) Nightstand 2-25-18 – Escape Reality, Read Fiction! I’m looking forward to reading The Duchess Deal by Tessa Dare. I just let my family look at my TBRlist and pick, next will be Mother’s Day gifts, not even got all read from Christmas yet. I don’t read romance books anymore. I love to read a new cookbook as I like to see each and every new cookbook that comes out. I’ve been wanting to read Still Me by JoJo Moyes. I’m looking forward to Roomies by Christina Lauren. I cannot wait to read the new book “Becoming. Michelle Obama”.